Do you need to make your case? The employer perception of the growing importance of certification suggests that employers view certification as a quality indicator, a proxy for demonstrating competence that an employer is willing to pay for and even require. Feel free to download our "Make Your Case" letter and customize it for you and your supervisor! 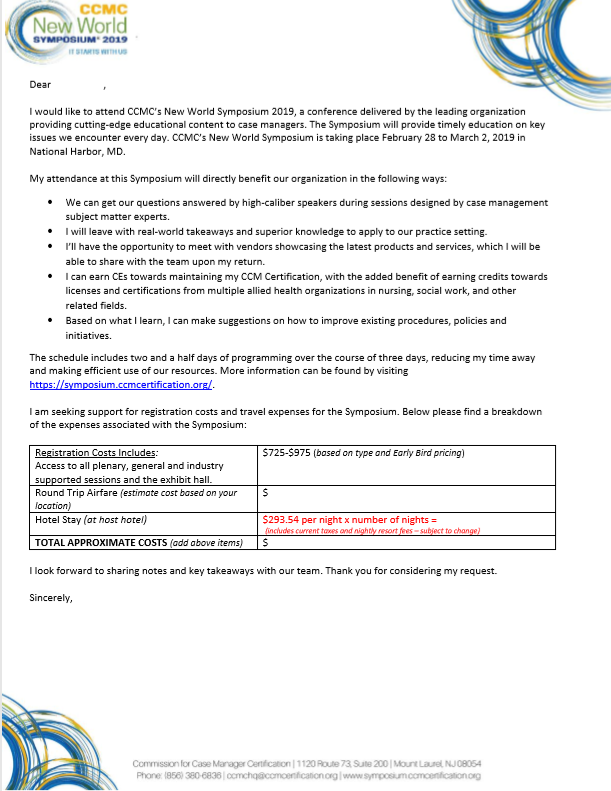 CCMC’s New World Symposium is an extension of our CM Learning Network®, which is a learning hub for the professional case manager and includes CCMC Issue Briefs with valuable information.